The Washington Post‘s fact checker gave two-time failed presidential candidate Hillary Clinton a "Four Pinocchios" rating for comments about voter suppression in Georgia and Wisconsin, calling her claims "way off-base." 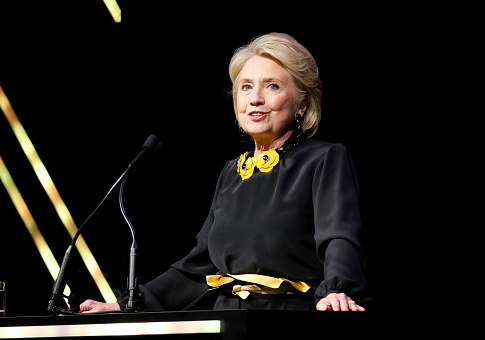 Clinton spoke at Selma, Alabama's annual "Bloody Sunday" commemorative service last weekend where she suggested Republicans made any excuse in 2016 to stop likely Democrats from voting. "I was the first person who ran for president without the protection of the Voting Rights Act, and I will tell you, it makes a really big difference. And it doesn’t just make a difference in Alabama and Georgia; it made a difference in Wisconsin, where the best studies that have been done said somewhere between 40 [thousand] and 80,000 people were turned away from the polls because of the color of their skin, because of their age, because of whatever excuse could be made up to stop a fellow American citizen from voting," she said. The Supreme Court's decision to strike down a key part of the Voting Rights Act did not make "a difference in Wisconsin" or cause voter registration to decline in Georgia, the Post‘s fact checker Salvador Rizzo found. The Court did strike down Section 4 of the Voting Rights Act during a 2013 decision with 5-4 ruling. The section of the law was designed to protect minority voters’ rights in places where they had historically been discriminated against at polls, he explained. Under Section 4, nine states and multiple counties had been required to to seek authorization from the federal government before they could make make changes to election procedures. Wisconsin was not one of the states previously covered under the regulation, and while it did apply to Georgia, voter registration actually increased in the state, according to the Post. Wisconsin was not one of the states covered by Section 4 when the court ruled in 2013, so, right off the bat, Clinton’s claim that this "made a difference in Wisconsin" is unfounded. Georgia was covered by Section 4, but Clinton’s claim that total voter registration declined in that state from 2012 to 2016 is false; it increased. It’s a case Clinton made often during the 2016 campaign (though we note she did not visit Wisconsin after winning the Democratic primary). "If there’s one place where we were caught by surprise, it was Wisconsin," she wrote in her post-mortem book, "What Happened." "Polls showed us comfortably ahead, right up until the end." Rizzo reached out to Clinton's spokesman Nick Merrill to explain Clinton's claim about 40,000 to 80,000 Wisconsin voters being prevented from voting in the 2016 election. None of the studies Merrill cited backed up the higher figure. The report Clinton relied on for the 40,000 estimate said the finding shouldn't be widely applied. "Clinton made a series of specific claims that were way off-base," Rizzo concluded. This entry was posted in Politics and tagged Georgia, Hillary Clinton, The Washington Post, Wisconsin. Bookmark the permalink.